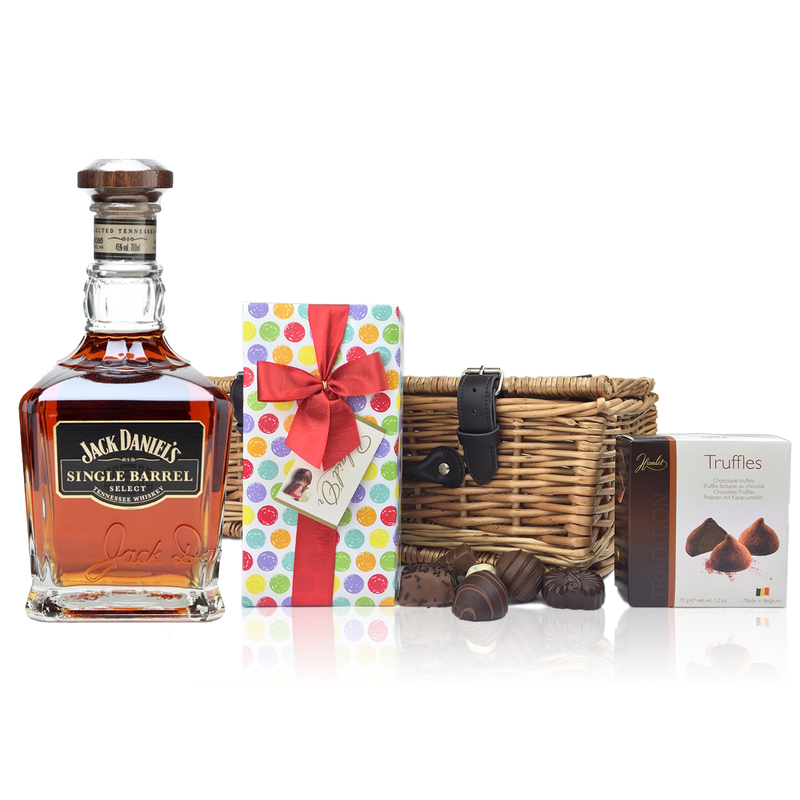 Jack Daniels Single Barrel and Chocolates Hamper A delightful gift of Jack Daniels Single Barrel along with a box of Hamlet Belgin Chocolate Teuffles (35g) and Belgid'Or Fine Belgin Choclates (175g) all packed in a wicker hamper with leather straps lined with wood wool. All gifts come with a gift card with message of your choice. There exists no commercial relationship to Jack Daniel's and Jack Daniels are not responsible for this product combination/set.